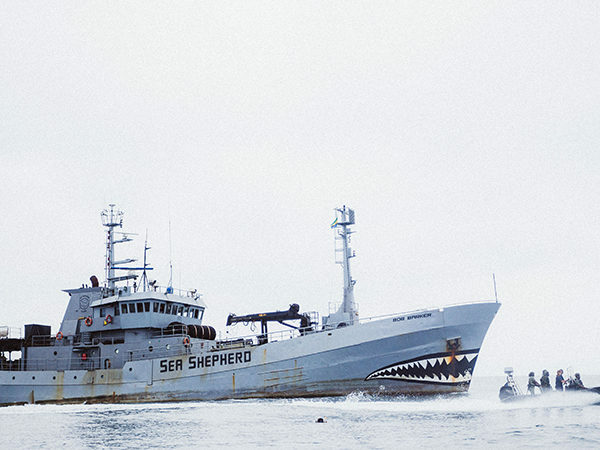 With Sea Shepherd, Captain Peter Hammarstedt created and piloted a “civilian offshore patrol vessel” program to help developing nations care for fish stocks in their territorial waters and sustain the health of the ocean. In 2014, Peter captained a boat that set the record for longest maritime pursuit in history, chasing an internationally-blacklisted vessel across three oceans and 10,000 miles before it was intentionally sunk by its captain off the coast of São Tomé and Príncipe. The dramatic chase was documented by the New York Times. Joint patrols between Sea Shepherd Global and law enforcement agents of African coastal states have resulted in the arrests of over 23 illegal fishing vessels over the past three years. Peter is the 2016 recipient of the Winsome Constance Kindness Gold Medal for Humanitarian Service, an award previously given to individuals such as Maneka Gandhi, Christine Townend and Jane Goodall.